Homemade Chocolate Goodies for Sale This Saturday! 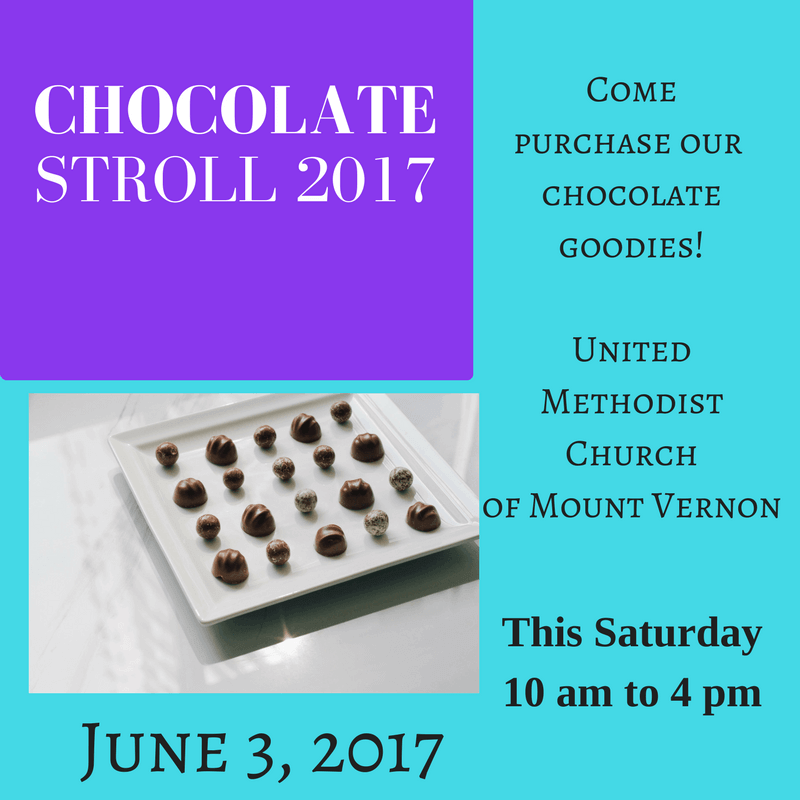 Mount Vernon, Iowa will be hosting a day long event called “Chocolate Stroll” this Saturday June 3, 2017. We are hosting a food booth of homemade chocolates out front of the church and invite you to come try them out. There will be lots to do Saturday here in Mount Vernon, all up and down the Main Street area. Join in the fun and enjoy some yummy goodies!